The so-called "Heartbeat Bill", before it was signed by Gov. Mike DeWine. DeWine signed what has been commonly called "The Heartbeat Bill" in a ceremony in his office this afternoon. In recent days, backers of the legislation changed the name of it to "The Human Rights Protection Act." It will ban abortions as early as six weeks into a pregnancy and would make performing an abortion a fifth-degree felony punishable by a year in prison. 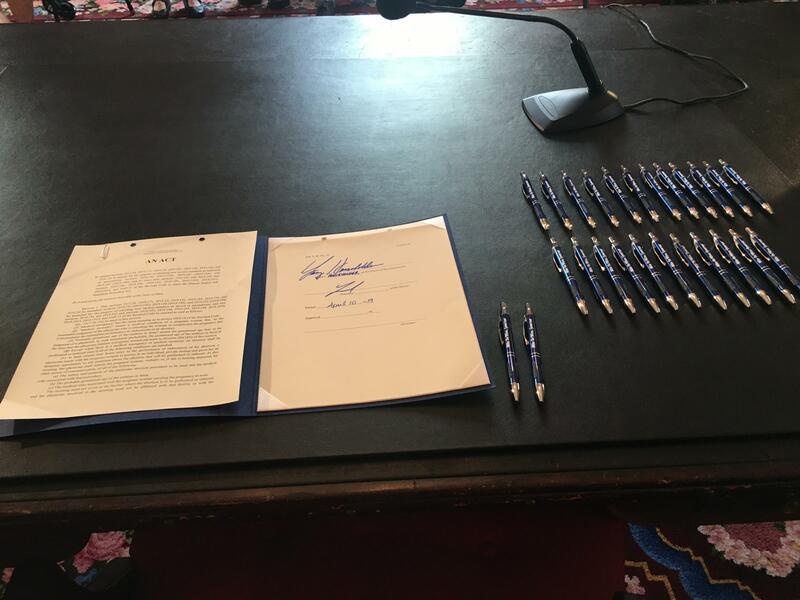 The bill has been a hot topic with Ohio lawmakers for eight years. It has passed the legislature twice before, only to be vetoed by former Gov. John Kasich. Gov. 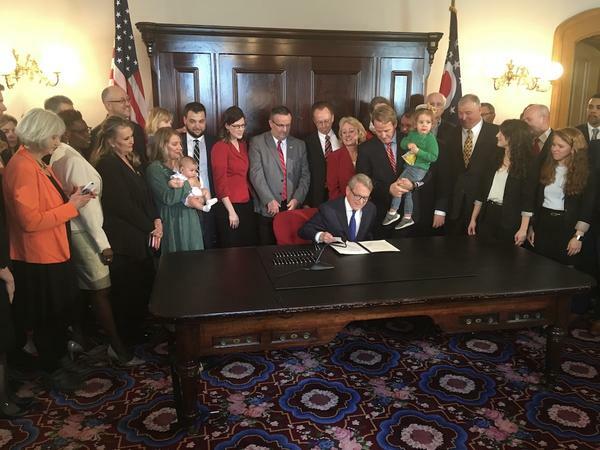 Mike DeWine has promised to sign the bill into law. Today, he kept that promise. The new law requires doctors to check for a fetal heartbeat before performing an abortion. Doctors who break that law could face up to a $10,000 fine. This new law doesn't have a good chance of going into effect right now. Six other states have passed a similar bill and it has been put on hold in those cases. Opponents of Ohio’s bill say they will sue. The Ohio ACLU’s Legal Director, Freda Levenson, calls the legislation “blatantly unconstitutional” and promises “to fight to the bitter end to ensure that this bill is permanently blocked.” She says SB 23 is one of the most aggressive, oppressive, and radical attacks against women ever seen in this state and this country. She notes a nearly identical bill in Kentucky was just struck down by a federal judge.